Being vegan, we hear endless excuses on a daily basis about how 'difficult' it would be to stop eating animal products. Eg: "I could never go vegan, I love meat too much", or "How could I live without bacon?". Though I'm sure many of us would agree that the most frequently mentioned food item among non-vegans (yes, even vegetarians) is cheese: e.g. "Oh man! I couldn't possible give up cheese!". Well, my friends, if you live in Sydney, then today is your lucky day. We happen to have found the most divine, hand-made cheeses that resemble the exotic-cheese-platter kind. And get this - they're all created with nuts! The glorious Sprout & Kernel are making a name for themselves rather quickly here in Sydney, more and more stores are jumping on the bandwagon to stock this vegan gold. Not only are their cheeses ridiculously tasty (we finished the lot in one sitting) but the ingredients are all natural and plant-based. Plus they're beautifully wrapped and uniquely named - "Little Sister Macadamia Cheddar" adorable! We were lucky enough to review a taster pack of this glorious cheese, and this is what we thought! (Image below each review). Little Sister: This cheese tastes crazily like real cheese. You know the soft, fluffy, expensive kind that you would be likely to find at a dinner party. It goes down especially well some crackers and wine (if you like that kind of thing). Aged Cashew: This cheese is soft, light and creamy - with the perfect hint of tang. We could happily eat the whole half in one sitting, but self-control prevails. Pepper Log: A deliciously thick, creamy cheese with a crust of pepper- scarily imitating the dairy cream cheese log. We almost felt guilty consuming it, but never fear - it's dairy free! So dig in!! 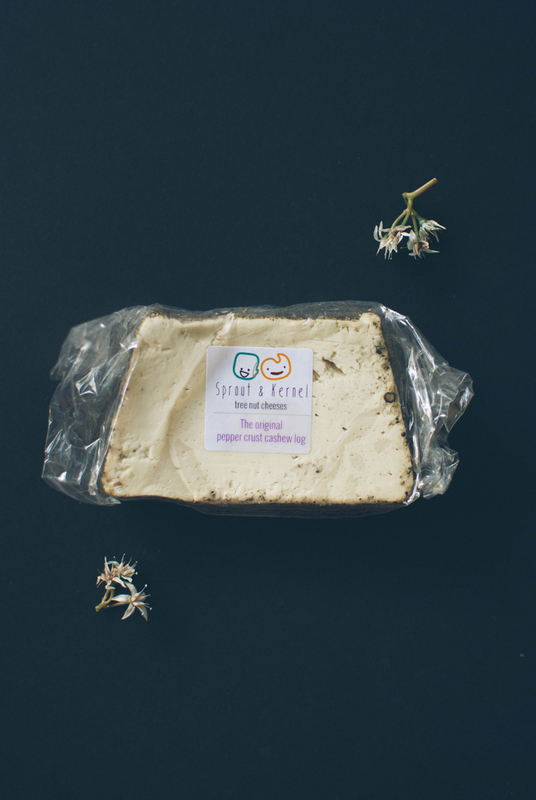 Monster Cheddar: A rich, crumbly, dense and creamy vegan version of cheddar cheese. With a soft and smooth texture, this cheese is nothing short of glorious! Dill & Garlic Cashew Cream Cheese: Oh happy day! This little pot of gold tastes of sour cream and chives, but with the freshest of ingredients. Along with a smooth, creamy, lush texture. Difficult to only dip once, thats for sure.